This is an area serving Northern Europe’s largest oil and gas cluster. 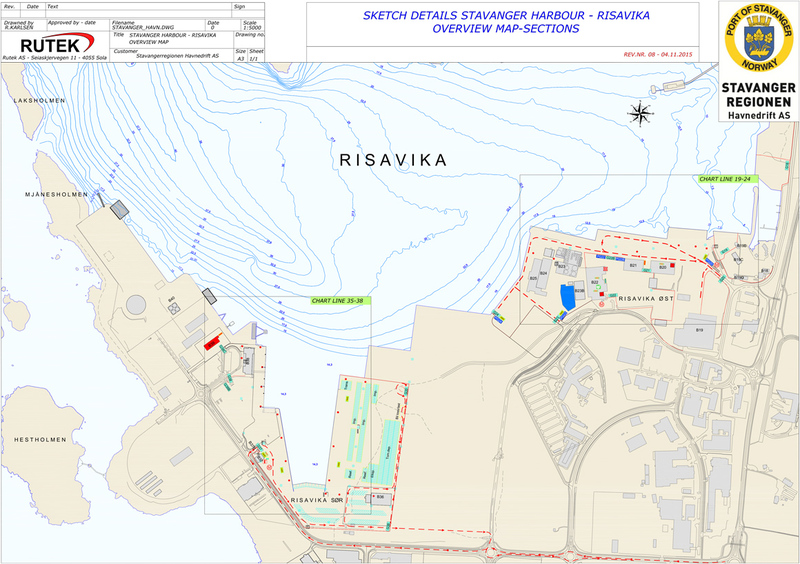 The terminal in Risavika is a well-established port area for offshore base operations. With around 10 meters depth and well over 360 meters quay-lenght, bunkering facilities, the possibilities are many. The terminal in Risavika is the region’s domestic / foreign ferry terminal. Bergen and Hirtshals are the destinations at the time. The ferries runs on environmentally friendly LNG fuel. The terminal building is of recent date and offers spectacular views of Risavika harbor area in the waiting hall. Around 14 m depth and 158.5 (+37 m with dolphin) meter quay, bunkering.